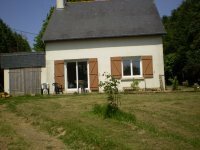 HOLIDAY HOMES TO RENT IN BRITTANY. 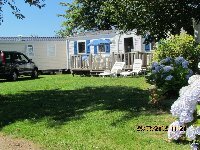 Welcome to our selection of holiday homes to rent in Brittany, France. Brittany has long been a popular destination for British tourists visiting France, thanks to its proximity to the ferry ports, cool temperatures in summer and its abundance of holiday accommodation. The region has everything visitors could want from a holiday; plenty of beaches, beautiful natural scenery, historic houses and plenty of entertainment for the children. The north coast of Brittany, on the English Channel, has some of the most popular seaside resorts, even though the sea temperature here can stay chilly well into the summer months! The Cotes d'Armor is home to several traditional towns that have had a resurgence thanks to the tourist industry, all of which boast a selection of accommodations and other tourist amenities. The beaches here are long, wide and truly spectacular, no matter what time of year you visit. Even if you prefer walking to sunbathing, there are numerous coastal and cliff top paths to explore, including one along the Emerald coast further west to the 14th century La Latte fort, located over 60 metres above the Channel. Located on the far west point of Brittany, and France itself, is the town of Brest. Not only are there several historical attractions, such as an 11th century castle, a museum dedicated to the town's history and a medieval tower. The port is the liveliest part of Brest, with a pleasant promenade and a number of excellent seafood restaurants. The sea dominates the whole town, thanks to the Oceanopolis aquarium, a year-round attraction that will keep the kids entertained if you have a rainy day. If you are lucky enough to be in the area when the Brest Maritime Festival is taking place, you can enjoy a number of maritime events, as well as various entertainments on dry land too. Carnac on the Brittany's south coast is not only one of the most visited sites in the region, but one of the most popular in the whole of France. The hundreds of prehistoric standing stones that fill the fields around the town are an amazing sight, and can take several hours to explore properly. Climb the tower that has been placed in the centre of the stones to get a better idea of the scale and the precision with which they were placed. Near to Carnac is the seaside resort of Quiberon, with its sandy beaches and wild, rugged coastline. This is an ideal destination for water sport enthusiasts, or for those who prefer to just sit back and relax in the warm, Brittany sunshine. 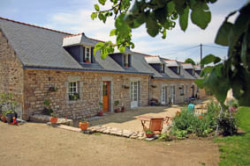 Looking for self catering holiday accommodation in Brittany? 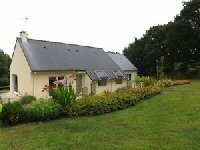 Then below is a selection of gites in Brittany and villas in Brittany that can be rented direct from their owners. You can either click on each listing for further details or you can use our search engine on the left if you are looking for something in particular.